Diabetes, a problem affecting more than 422 million globally, may lead to a sight-threatening condition called Diabetic Retinopathy (DR). 90% of the vision loss due to DR is preventable by early detection and timely treatment. Screening for DR has not been possible primarily due to two key challenges: (a) High Cost of Retinal Imaging Devices (b) Lack of access to specialist eye doctors, e.g., only 15,000 specialists are available to screen more than 70 million diabetics in India. Remidio Innovative Solutions based in Bangalore, India has disrupted the field of retinal imaging with their high quality, portable devices. The Remidio Fundus on Phone (FOP) that works on smartphones, weighs 1/20th the size of conventional systems, costs just 1/5th the price, and can image without pupil dilation. Until recently, DR could only be detected by ophthalmologists and trained graders. Artificial intelligence (AI), can now be employed to grade retinal images, especially those with sight-threatening DR. In a study done at Madras Diabetes Research Foundation (MDRF), Chennai, and published by Nature Eye , retinal photographs were taken on diabetics using the Remidio FOP, (previously validated to have a clinical sensitivity of 93% and specificity of 98%) and graded by ophthalmologists as well as by the AI algorithm EyeArt. 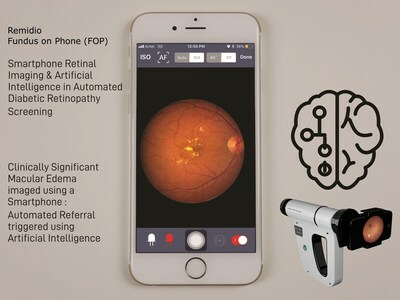 This study showed that, the use of EyeArt automated AI along with Remidio Fundus on Phone (FOP) has very high sensitivity for detecting Diabetic retinopathy (95.8%) and sight-threatening DR (99.1%). This is possibly the first study that has looked at the role and accuracy of automated Artificial Intelligence (AI) based DR detection in smartphone based retinal imaging. Dr. Anand Sivaraman, CEO of Remidio Innovative Solutions Pvt. Ltd., said, "The simplicity of use of Remidio's smartphone based Fundus on Phone when combined with Artificial Intelligence like EyeArt, may now enable large scale public health screening for Diabetic Retinopathy globally." The Remidio Fundus on Phone is a truly portable fundus camera that is very easy to use. Dr Prakash, American Eye Care Centre, Chennai. Easy and convenient to use in the consultation room. 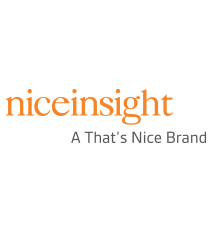 Makes explaining to patients and understanding of retinal diseases a whole lot easier.